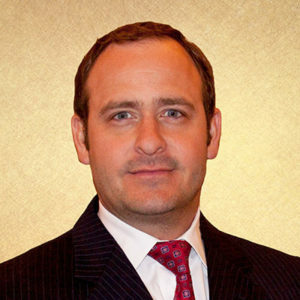 Porter Allred joined Glen Lerner Injury Attorneys in 2011. Porter has spent his entire legal career representing injured people against big insurance companies. He is sympathetic to the struggles and difficulties his clients endure as a result of someone else’s carelessness. Mr. Allred works tirelessly to ensure that each client receives fair compensation for their injuries. He has represented hundreds of injured people and also recovered millions of dollars on their behalf. Raised in Salt Lake City, Utah, Porter Allred moved across the country to attend Bowdoin College in Brunswick, Maine. He received his Bachelor of Arts in Government and Russian in 2002. Porter attended Syracuse University College of Law in Syracuse, New York. After receiving his Juris Doctorate degree in 2007, Porter moved to Las Vegas to begin his career. He is a member of the State Bar of Nevada and is licensed to practice before all state and federal courts in Nevada. He is also a member of the Nevada Justice Association. In his free time, Porter enjoys traveling, skiing and watching sports, especially college football. He and his wife, Sara, reside in Las Vegas with their three sons.